Z-Wave Plus S2 Controlled Thermostat - HE-ZW-THERM-FL2 from Heltun. 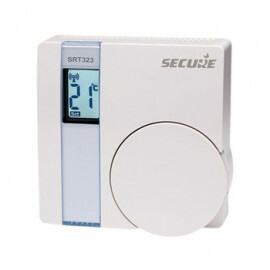 This is a programmable electronic room heating thermostat for flush mounting into standard wall boxes. 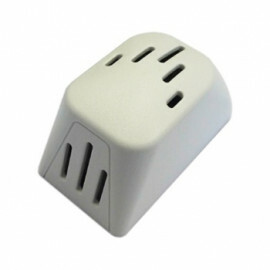 It is designed to maintain a constant ambient temperature, the criteria of which can be simultaneously either floor, room or both temperature sensors. It is recommended for the control of electric heating devices (radiators, convectors, electric fireplace), boilers or electric under floor heating. 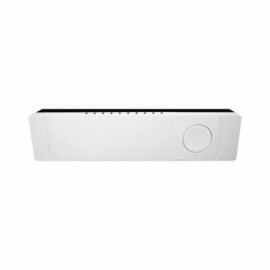 The heating element is directly controlled by a single pole switch. 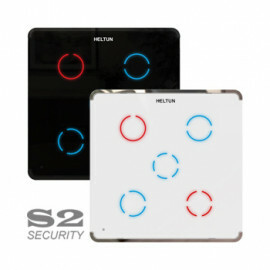 The thermostat has an LCD screen, six sensitive capacitive touch control buttons and two temperature sensors (external NTC floor sensor and a built-in room air temperature sensor). 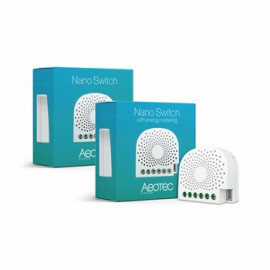 The thermostat is also equipped with built-in humidity, illumination and energy consumption sensors. 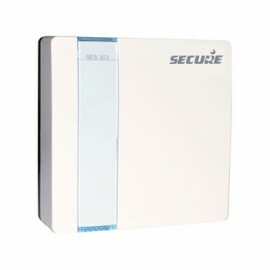 One of six operation modes can be selected either manually or via the Z-Wave Controller/Gateway. The 6 operating modes are: COM - most comfortable (full power) mode, TIME – control the temperature by day time, DRY - floor quick drying mode, ECO – energy saving mode, VAC – vacation mode and MAN - manual control mode. The thermostat protects the floor from overheating by automatically switching off the load when the temperature reaches a maximum.